currently under construction at Buchanan Street Northeast, Washington. Sales for available units start from $579,990. The Towns at Totten Mews has a total of 35 units. Sizes start at 1998 square feet. Decorated Model Open! 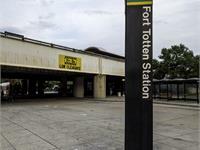 New Construction, 3-Level, upscale Townhouses minutes to Fort Totten Metro Station. 1-Car garage plus driveway. Your inquiry will be delivered to the The Towns at Totten Mews sales team, who will send you more information about this development.